Design Mirko Ilić. Image: India post. 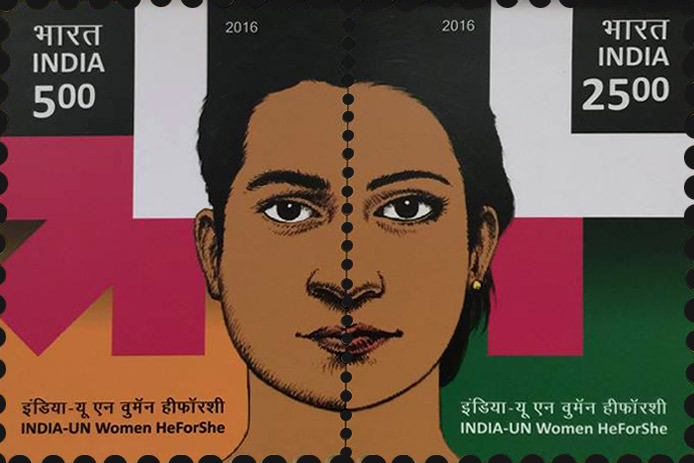 India celebrated international women’s day by introducing a gender equality stamp. Designed by Mirko Ilić, the stamps can be combined to creat images of faces made up from different genders. This is especially remarkable since India ranks 127 of 142 in the gender inequality index. Only 15% of women are employed in the formal sector. female participation in the workforce has actually declined since 1988. India has a so-called sticky floor, the majority of women cannot rise above a certain level of earnings, skills, and benefits. The high-level committee on status of women, formed in 2012 by the government of India, aims to increase gender equality and has recommended 50% seat share for women in government and laws that prevent violence against women.